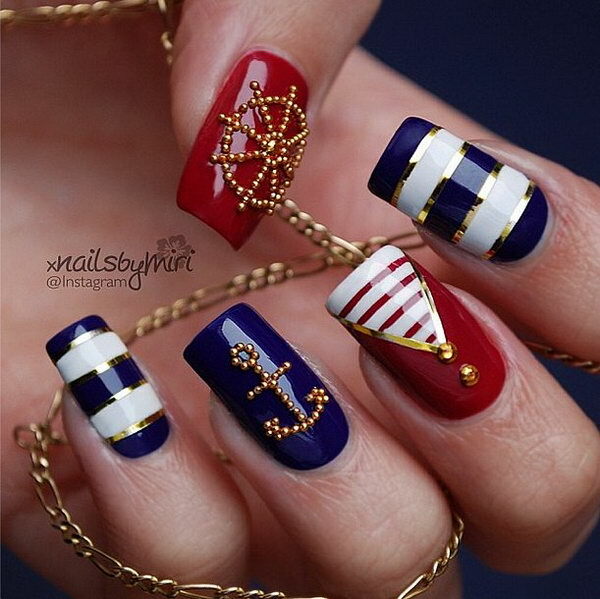 For the upcoming Independence Day manicure, if you’re feeling so much of the stars, stripes and fireworks on your nails, you can have a try of red, blue and white nautical nails. 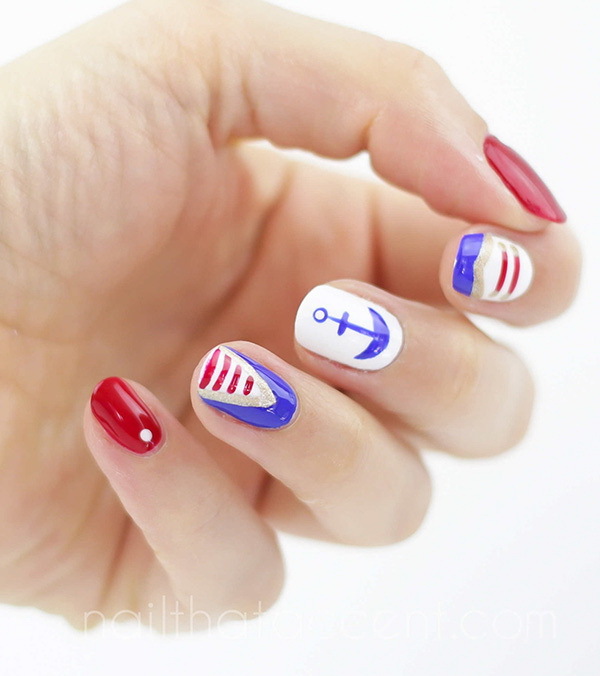 Nautical themed nails can easily be looking American-themed instead when they go with the patriotic blue, white and red color theme. 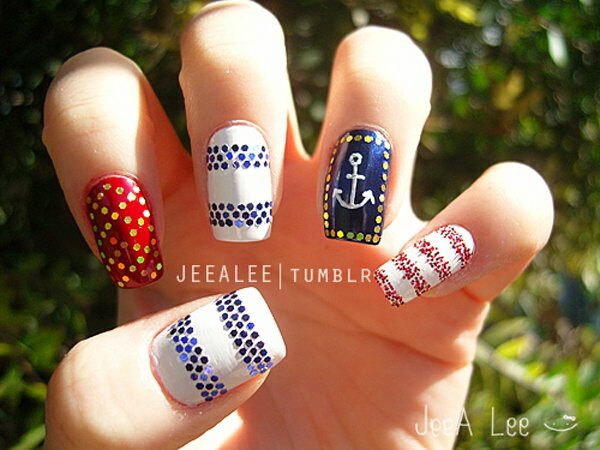 And they are going to be as cute for the current summer when the holiday is over. 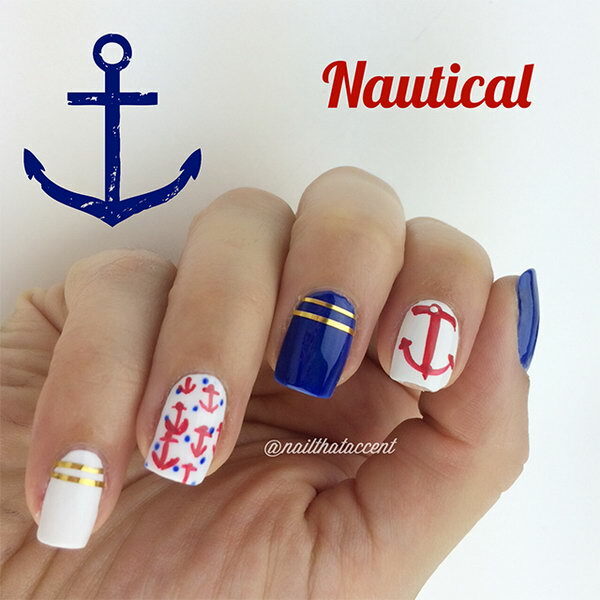 To create a festive nautical manicure, you can combine the symbols of the USA or some cute elements with the classic nautical colors and patterns. 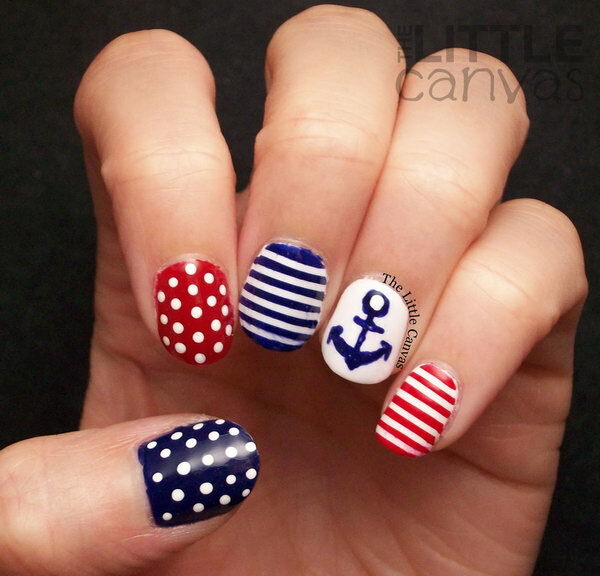 Patriotic nautical patterns always used: anchors, wheels, stripes polka dots and compass. 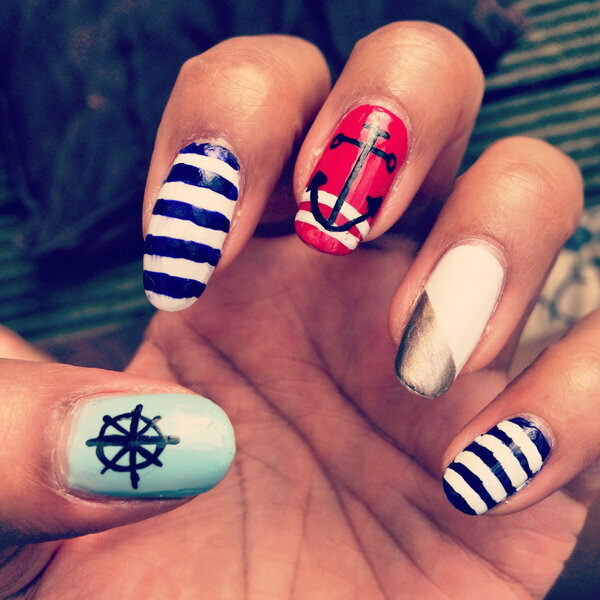 Playing with special effect nail polishes, studs, stickers and star manicure options can also guarantee a successful outcome! 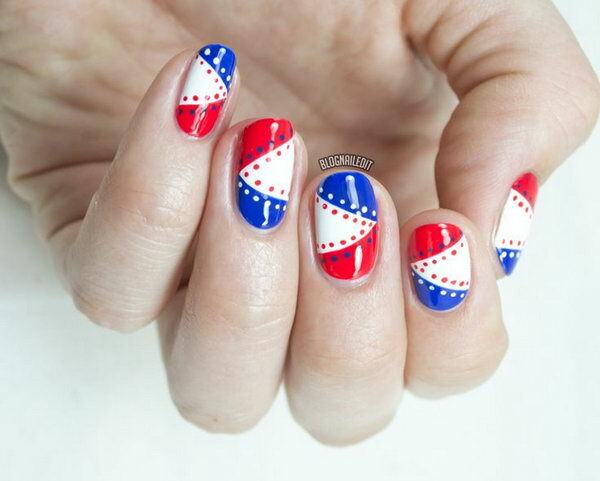 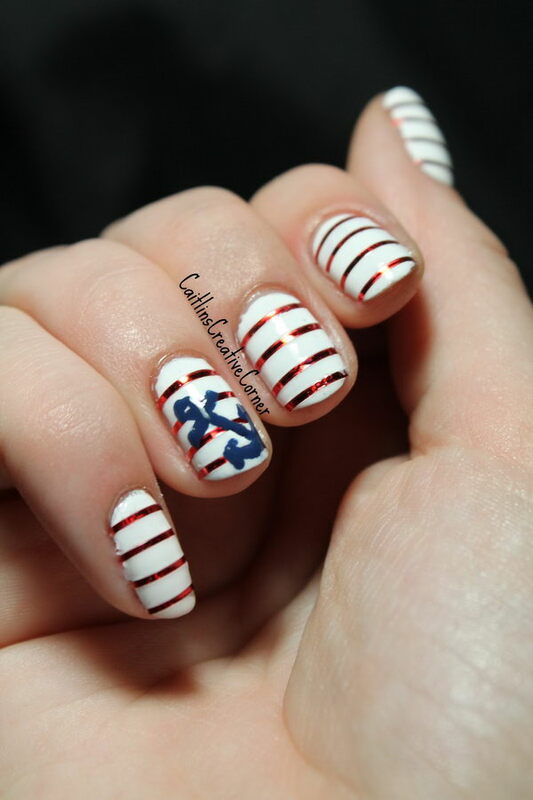 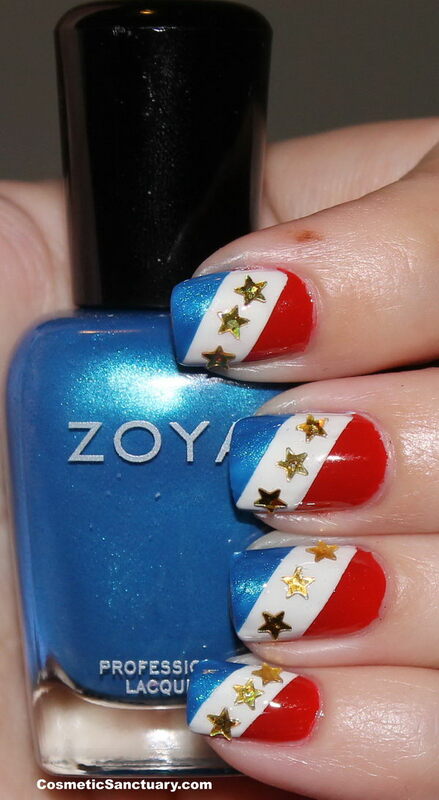 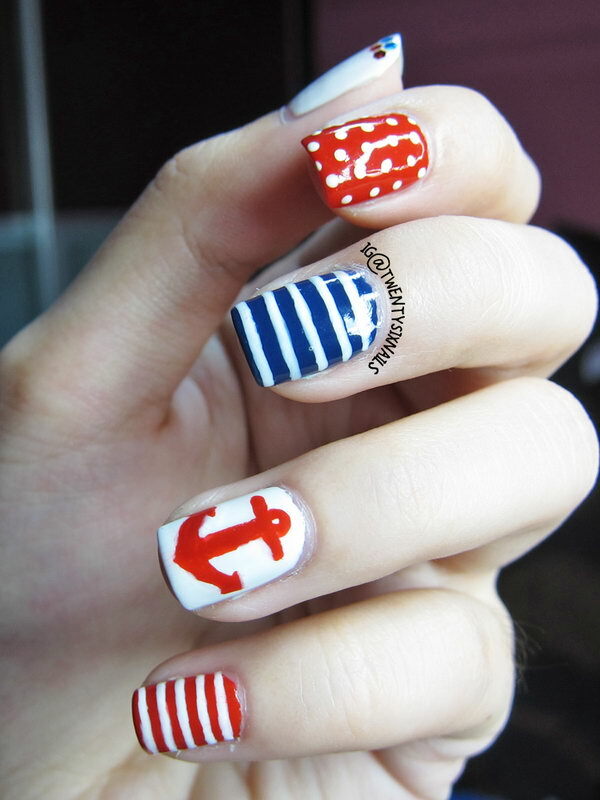 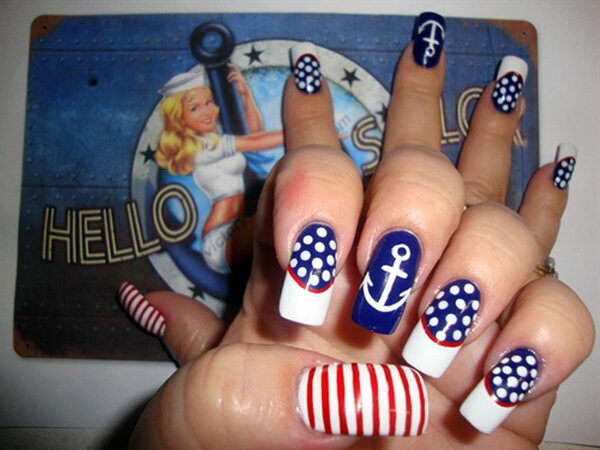 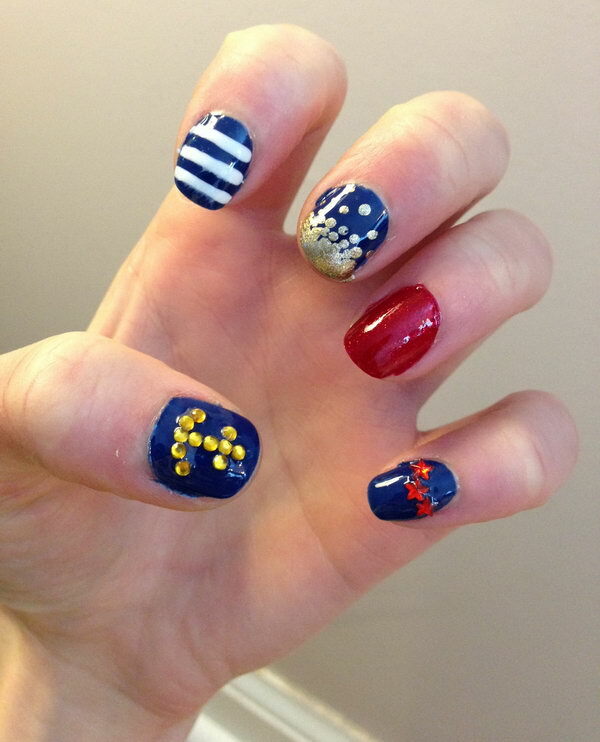 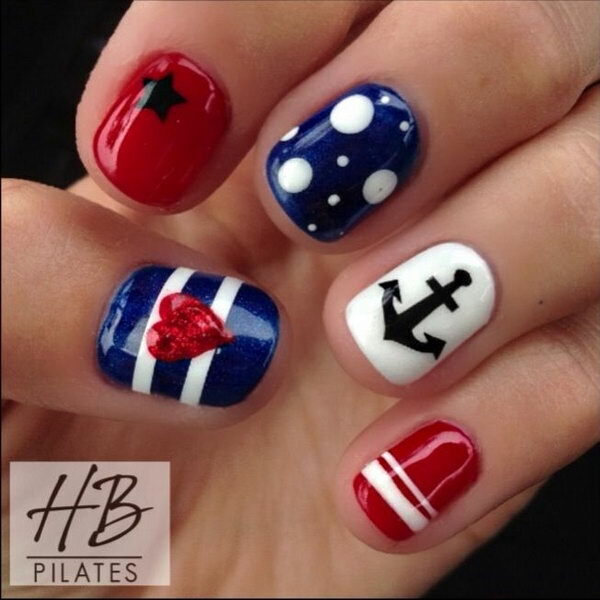 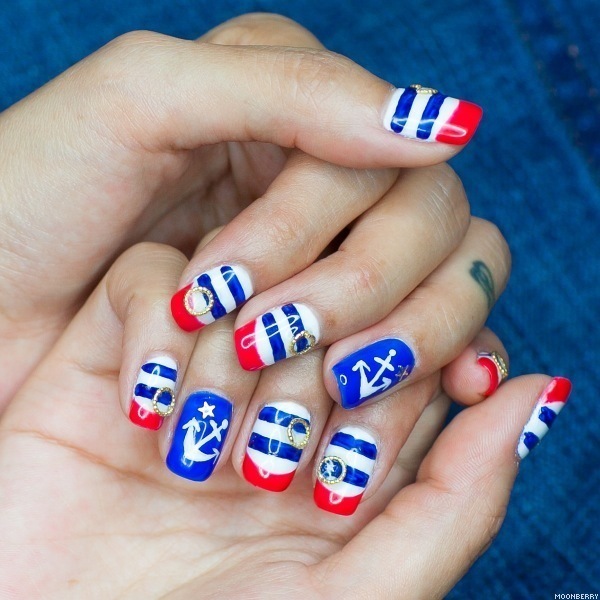 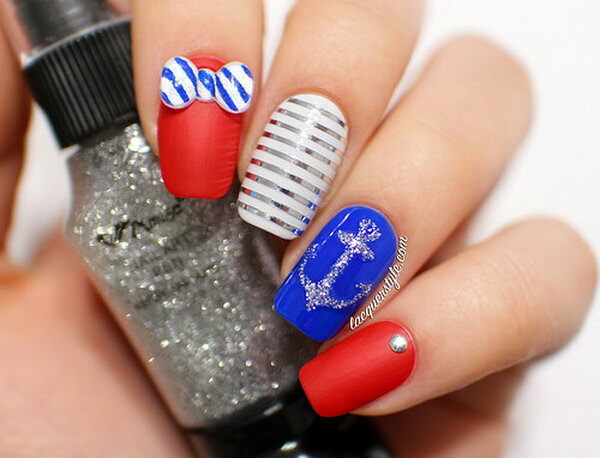 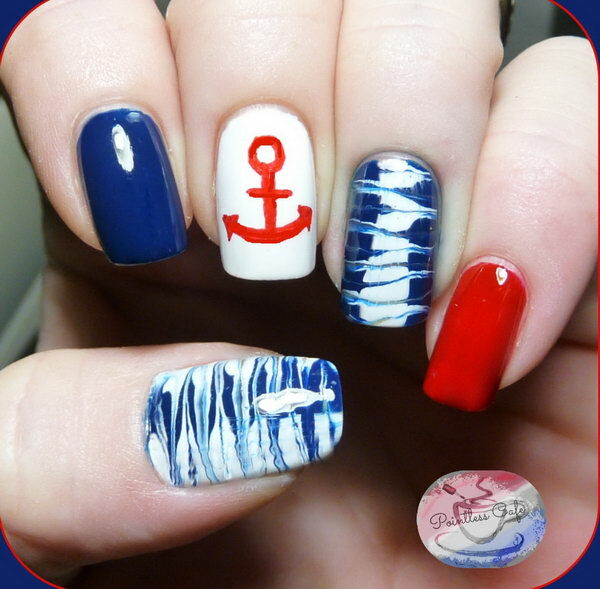 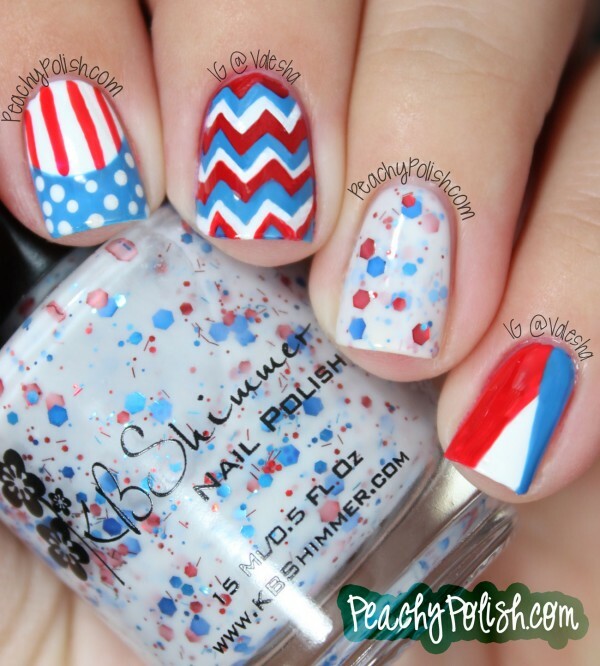 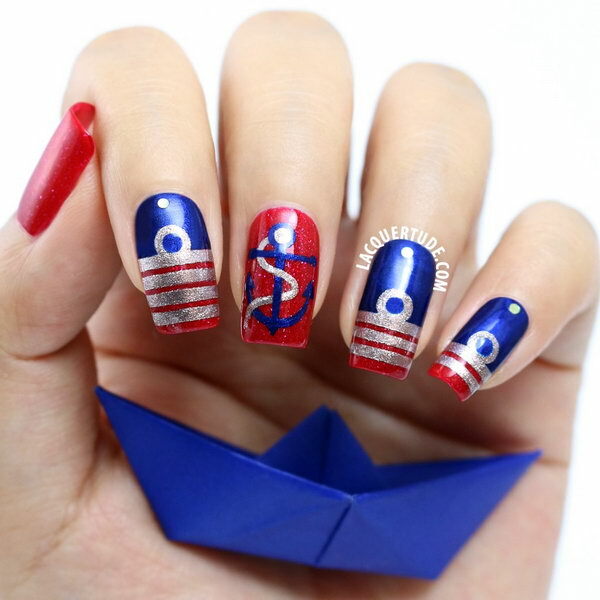 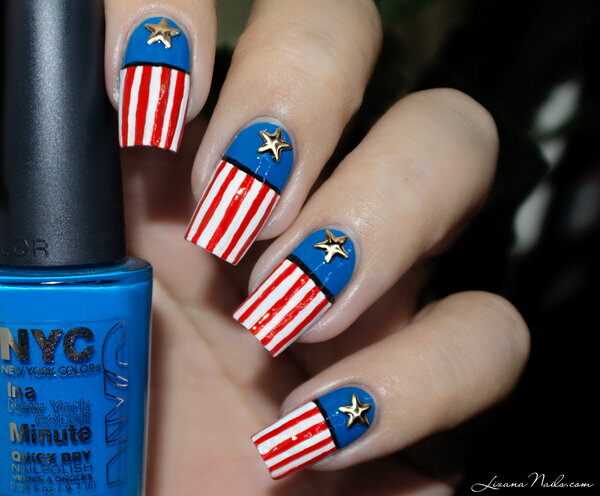 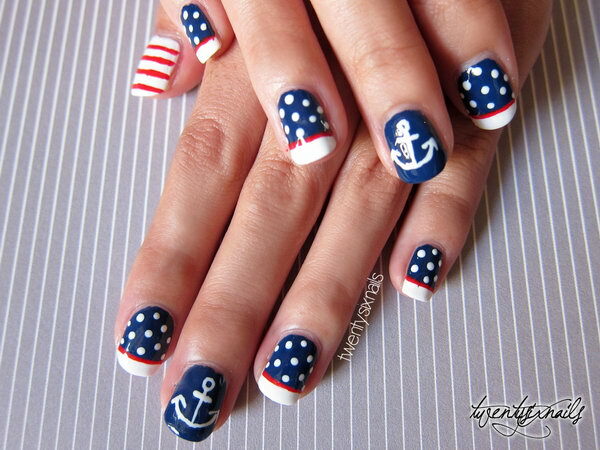 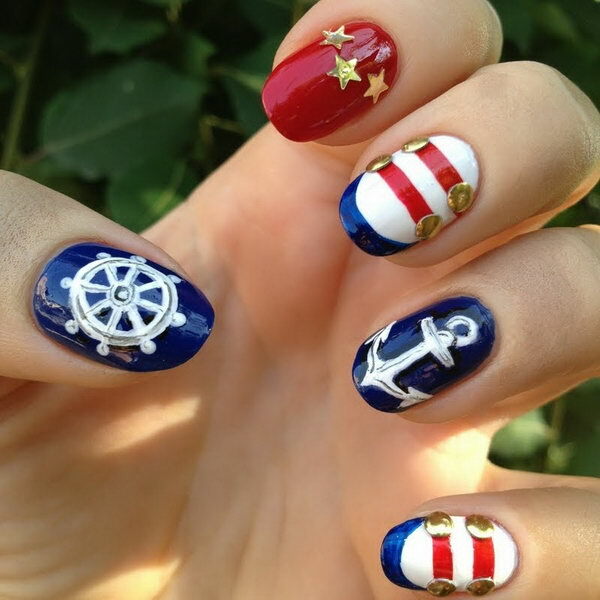 Today for your inspiration, we’ve selected some 4th of July nautical nail art ideas. 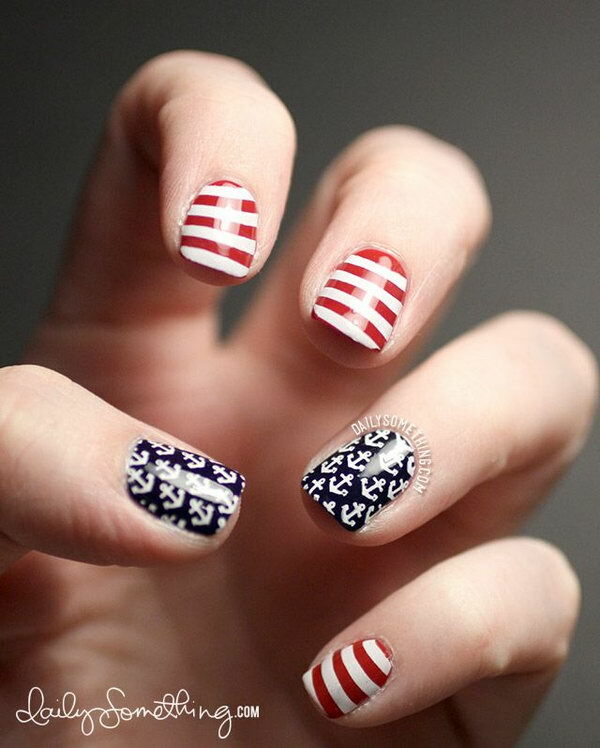 Thank you for your reading and hope everyone a wonderful and safe holiday with your family members and friends.